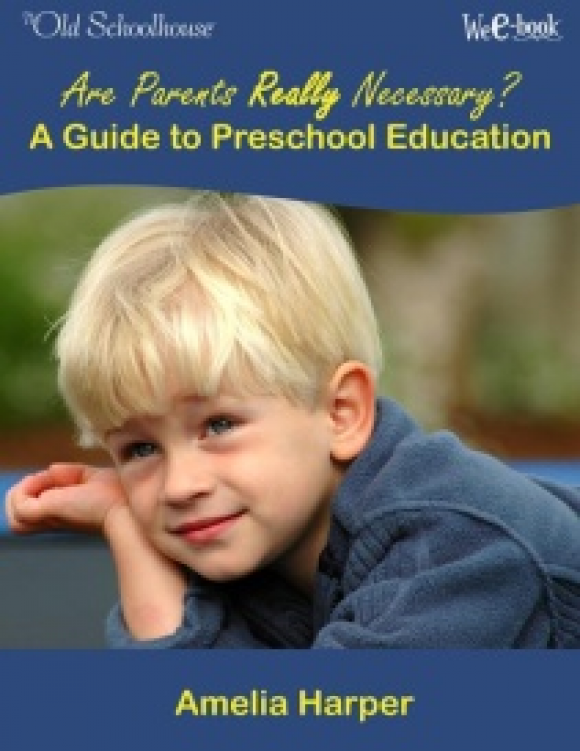 Do you have an active preschooler in your home? So do we! What kind of learning environment are you creating? Should you include tot school? Is it possible to enjoy every minute with your preschooler? 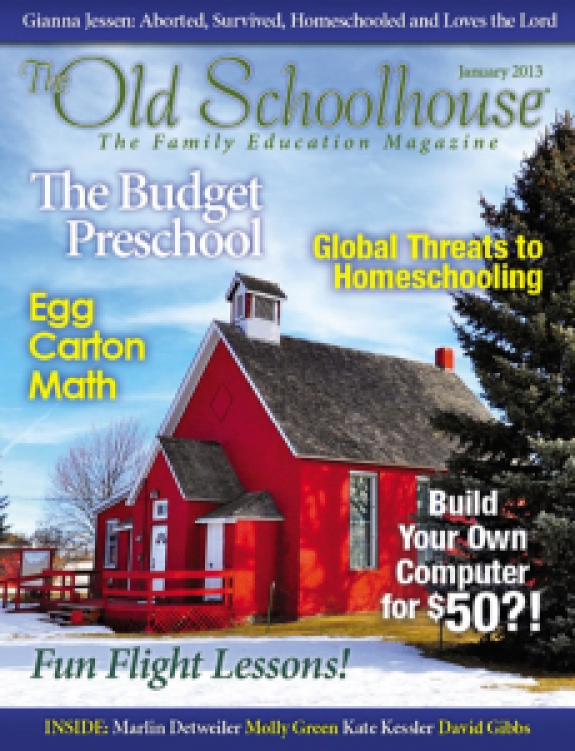 The Old Schoolhouse® Magazine, LLC presents . . . 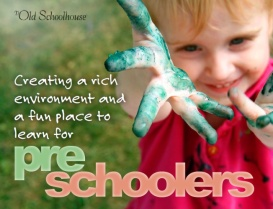 Creating a Rich Environment and a Fun Place to Learn for Preschoolers More than a dozen homeschooling families show you how they do it! Discover creative ideas about chores, field trips, multi-teaching, music, hands-on activities and so much more for your family. Do you sometimes feel overwhelmed by the natural excitement bursting from your preschooler? Are you finding life challenging, especially if you have older ones to teach? How can you bring balance to your home and create an atmosphere conducive to learning? There are over 80 pages of insightful information and incredible ideas and activities you can immediately put into practice with your family! Tot School:Learn how to intentionally devote time to focus on preschoolers at play, easily, every day. Use toys, household items, puzzles, books, and more to expose your tot to new concepts. Put Some Zing Into Your Homeschool With Field Trips:Make field trips a habit with tips and tricks for finding and organizing the best locations for learning. Chores and the Preschool Crowd: Have you ever considered chore responsibilities to be a gift to your children? Learn why they are and find practical ways to implement chores that will lead to bigger and better responsibilities and, therefore, privileges. Preschoolers and Music: Learn about mice and music from laboratory tests, read biblical references to music and how it can influence moods, and learn how to successfully incorporate music into daily life. Recall songs from your childhood and understand why music is so important for children and learning. Preschooling With One: A heartfelt story of learning in the midst of life, from early reading and using safety scissors, to trips to the zoo and learning during errands . . . Learning is a lifestyle! Create a Rich Learning Environment for Your Preschooler: Whether using an entire room and yard or learning corners in your home, gain great ideas for creating the right environment that includes interaction with you! 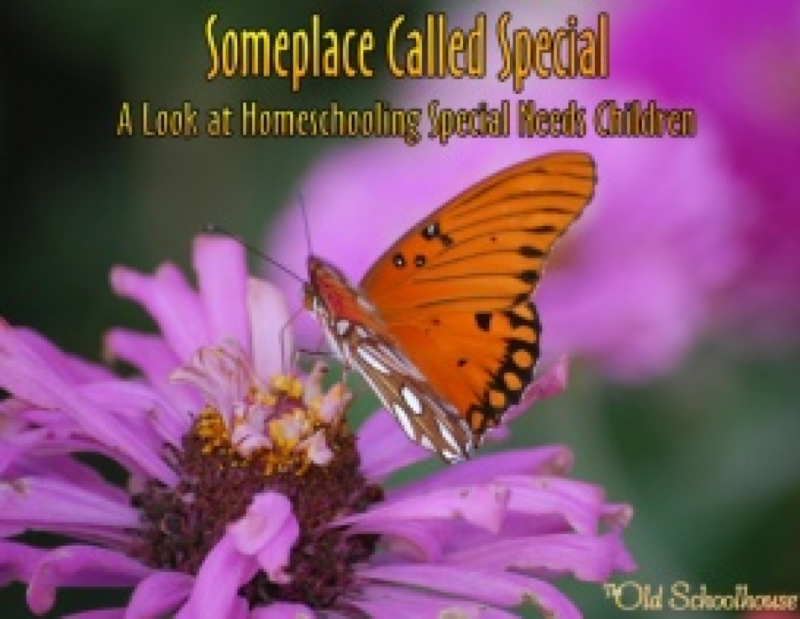 Multi-Teaching: By God”s grace you can homeschool children of multiple ages, including preschoolers. Discover great tips and practical ideas for success. Build relationships between your children, as they learn to look beyond their own interests and spend time with the younger children. Preschool Education: Simplify life, set a schedule, put God first, and more, as you learn to develop a successful day of activities with your preschoolers. Teaching Preschoolers:Learn to be selective in your activities and enjoy the learning that happens while preschoolers are listening and watching older children. When was the last time you went on a scavenger hunt, sorted leaves, or made puppets with your preschooler? Creative Things to Do With Your Preschoolers: Glean ideas from an incredible list of possibilities, as well as a section on lapbooking! You”ll find more than enough ideas to keep your entire household busy! Choosing to Homeschool Our Preschooler: Tried and true advice about including preschoolers in everyday life and activities. Use diaper changing time, grocery shopping, time on the swing set, and more to creatively and constantly teach your little ones. Keeping Preschoolers Occupied and Educated: Hear from a certified preschool teacher how to enjoy teaching your preschooler at home and appreciate the value of play. Activities to Do With Your Preschooler: Relish advice on teaching in the midst of family life, using dramatic and tactile play, art fun, music, and moreâ€”complete with recipes, ideas for activities-in-a-bag, games, and large-motor play! More than eighty Activities for Children are included in an incredibly helpful list; over six pages of ideas! You”ll want to print it out and keep it handy to use with all of your children, regardless of age. If you want to look back at your time with your little ones and know that you created a rich learning environment and a fun place to learn about our world, this E-book will help you do just that!